It's time. 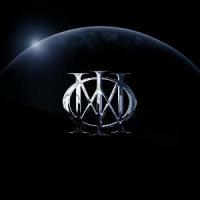 It's time for me to give up trying to fight my urge to write a review for this new Dream Theater album. Anyone that follows me will know that I am no fan of the "mighty" DT, though I have a healthy respect for them as I feel they kept the prog fire burning through the 90s, kinda. I also respect their technical ability, especially that of Petrucci and his nine arms. However, none of that changes the fact that this album is pompous, overblown, and stilted. Just as with all of their albums after "Awake", their tracks seem like nothing more than stitched-together pieces of instrumental fireworks, and then they ask Labrie to caterwaul over them. I use the term "instrumental fireworks" in the worst sense, as these shows of skill seem more suited for high school seniors trying to impress girls. Yet, Petrucci and his crew (as he seems to be in charge this time) can play mind-bending instrumental passages, but can they just make a darn song already? All I ask is for a cohesive and mature attempt at art, but DT continually leans toward attempting to fit as many notes as possible into one minute. Honestly, I was surprised at first. "False Awakening Suite" is actually quite good, even though it IS a 3 minute song that is divided into three parts. Cliche much? Anyways, it is quite epic (as expected) and good overall. I liked it. Then, "The Enemy Inside" appears, and the album goes to hell. Not only does the over-production pretty much hurt my ears, but Labrie sounds worse than ever. This guy CANNOT SING. Sheesh. Each track, then, sounds exactly like the previous one. Wailing from Labrie, guitar solos from Petrucci, and not much else. The keys from Rudess are buried in the over-saturation of the mix, and they don't do much anyhow. I also heard that Myung's bass guitar was finally going to be audible! Yippee! It only took them a career as long as I am old to figure that out. And guess what? I can still barely hear it, and it is basically unremarkable. So, after an album full of blah songs, "Illumination Theory" arrives. This track is meant to be the grand epic of the album, and I think it's okay. It's nothing special and it really drags in the middle, but it's pretty good for what it is. One plus is that Labrie is gone for large amounts of time, which would make any song better. Overall, then, this is just another DT album. It's complex. It's epic. It's heavy. But, it's also meaningless, immature, and downright annoying at times. When the final epic began, I glanced to see that it has a run time of over twenty minutes. My first reaction? "Do I have to?" I made myself listen to this album; and, surprise, it sounds like all their other albums. But, I guess when you are selling albums like hotcakes, that's all you really care about anyways.